Microsoft’s USB adapter for the Xbox One controller seems like a handy bit of kit. You plug it in and it automatically detects and supports up to eight controllers and four chat headsets (or two stereo headsets). Phil Spencer wants Xbox 360 games to work on PC. The USB device is shipping to most retailers worldwide from today, so you’ll be able to grab one soon.However, judging by the wording on the official announcement, it seems like it will only be compatible with Windows 10. “With the Xbox Wireless Adapter for Windows, you’ll simply plug the adapter into the USB 2.0 or 3.0 port of your Windows 10 PC, laptop or tablet and bind the adapter to your wireless controller to enable the same gaming experience you’re used to on Xbox One, including in-game chat and high-quality stereo audio,” writes Major Nelson. 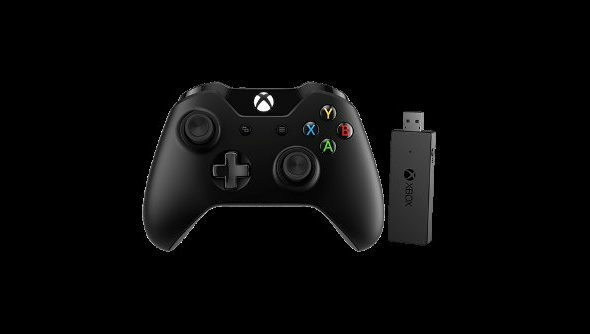 The Xbox Wireless Adapter for Windows will be available for $24.99 USD (RRP) or bundled with an Xbox One Wireless Controller for $79.95 USD (RRP).